These are gorgeous — thanks so much for sharing the pattern! Love these socks. I especially like the cuff treatment. 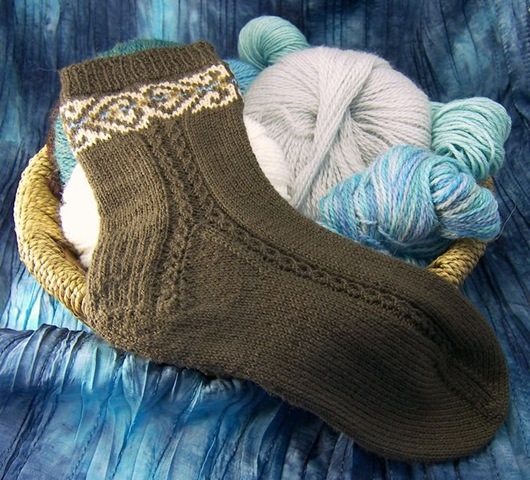 Would you mind if I incorported something like it into some fair isle Christmas stockings I am creating? Totally love and enjoyed meeting you at the book signing. Please do! Like I said, the cuff is taken straight from a very early piece of knitting, so I don’t think I’ve got any claims on it. I love it, too. I’m especially attracted to the symmetry of it. The book signing was too much fun! It was great meeting you. I might have to take up tatting after looking at your website! Is that comment up there from John McCain? I really don’t think he’s a knitter, lol. I have a feeling that whoever that is posted a comment to get a link to his blog here… but I’m not sure and I don’t want to be the kind of admin that deletes willy-nilly. Hmm. 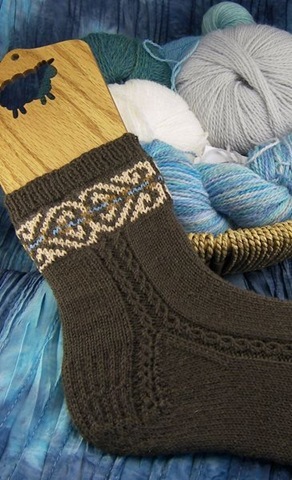 I am knitting these for the April SKA (Sock knitters anonymous) group on Ravelry for under appreciated patterns. Not only is your pattern underappreciated..it is lovely! 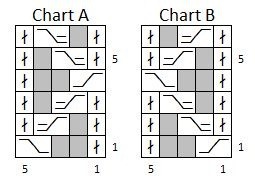 One quick question ‘tho, and I hate to trouble you but on chart “A” and “B” they is no key (stitch) for the gray square. I assume it is a K or P…but could you let me know. Thanks again…I hope I do your beautiful pattern justice. I have downloaded this pattern and I intend to tackle it asap. 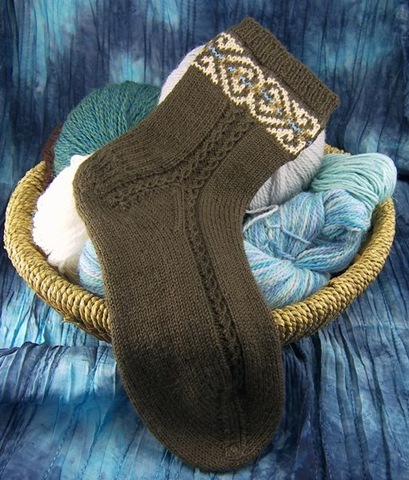 Been knitting for 40 years and my first knitting project was socks. I love knitting socks. I love the ankle socks. I am planning on doing these in pastel yellow MC and mauve CC. I have such a stash! Thanks so much for an ancient pattern motiff!! Yellow and mauve sounds lovely! I bet you have some great yarn in your stash. 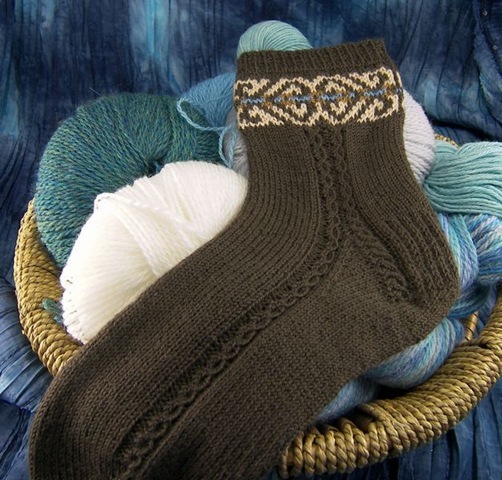 I really want to do another sock pattern with some history behind it- or maybe some gloves!